Hello! 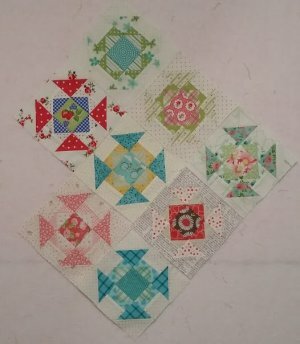 I am so happy you are here to check out my block for the Splendid Sampler! 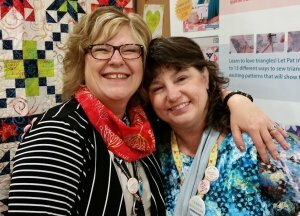 I opened Cotton Patch Quilt Shop 13 years ago. 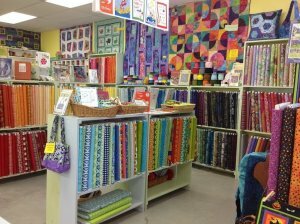 It's a happy, bright shop in Sarasota, Florida. There are a lot of great moments for a shop owner. 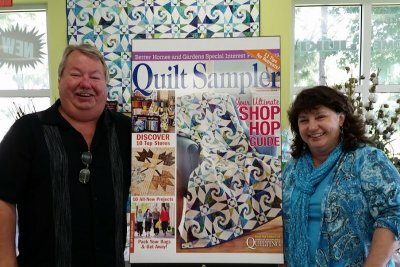 Being featured in Quilt Sampler magazine and having our quilt on the cover was one of the most exciting things that can happen to a shop owner. 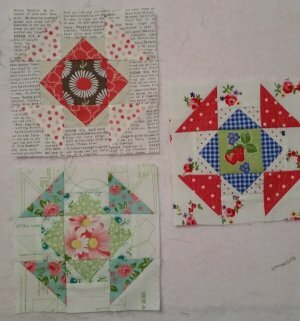 But then...Pat Sloan, yes THE Pat Sloan contacted me and asked me to design a block for this Splendid Sampler project that she and Quilt Jane were working on. I was thrilled to be asked, honored to take part and absolutely humbled to have my name included with the list of designers. I mean, have you seen the list? 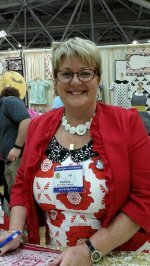 It's the A List of Quilt Designers and I am on it! So what would I do for my block? Churn Dash has always been a favorite of mine, so I decided to use that as my inspiration. 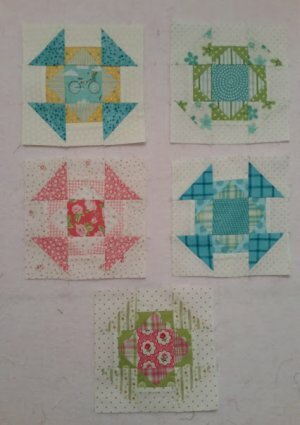 It's a fun block because you can vary the values and get different looks. You can make the corners be a darker value and stand out. This block is fun to set "on point" too! 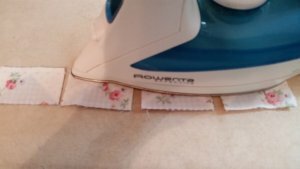 Starch your fabrics before you cut out the pieces. I love using Best Press. Caribbean Beach is my favorite scent in case you wanted to know that. Set your machine to stop with the needle down and change your needle often! I like Microtex Sharps 80/12 best. 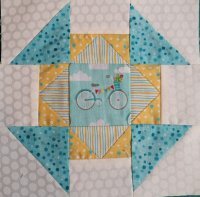 Use a thin thread, it takes up less room in the seam which helps your blocks turn out the right size! 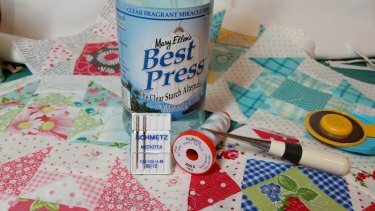 I love Aurifil thread and color 2600 is my go-to. 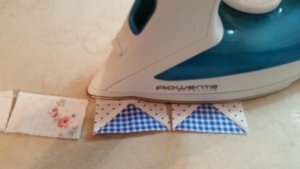 A stiletto is helpful for sewing small pieces. First, set your seam on the back side of your block. Take it just like it came off the sewing machine and give it a press. The thread will sink into the fabric, so when you press on the front side, you will get a nice, flat block. 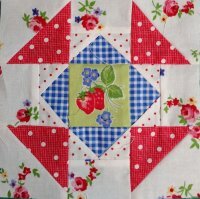 Sew with fabrics that make you happy. 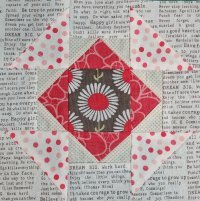 Life is too short to sew with ugly fabrics! 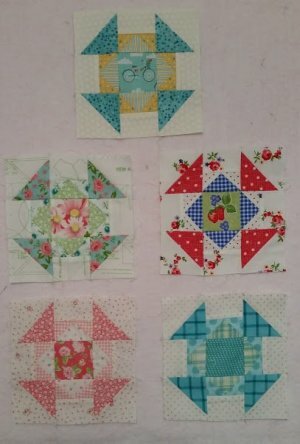 These blocks make me happy with their fun fabrics! Oh, have some chocolate every day too, it's good for you! 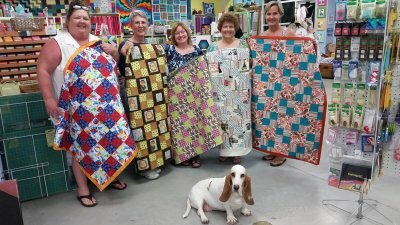 If you are ever in Sarasota, Florida, I hope you will stop by Cotton Patch to say hi. 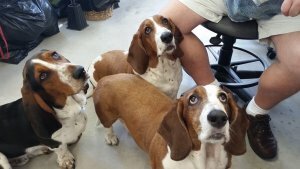 The hounds and I would love to see you!